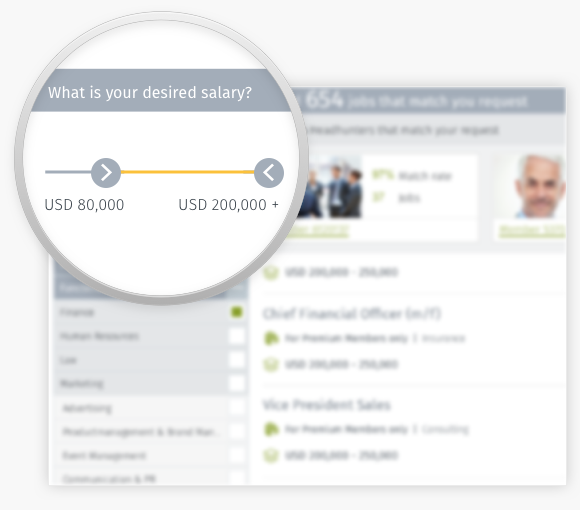 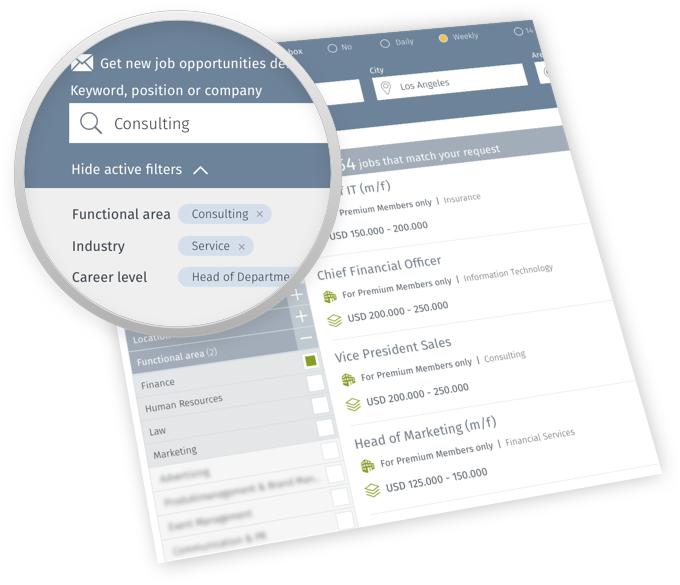 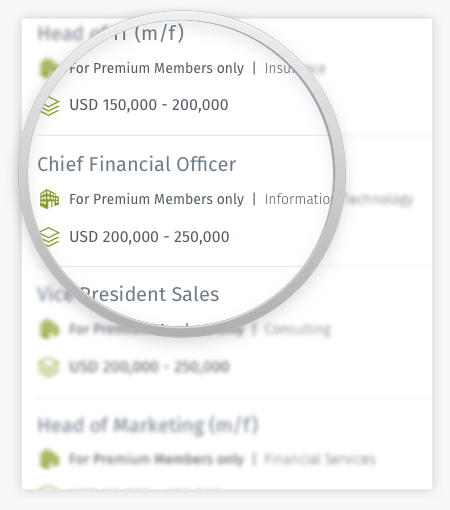 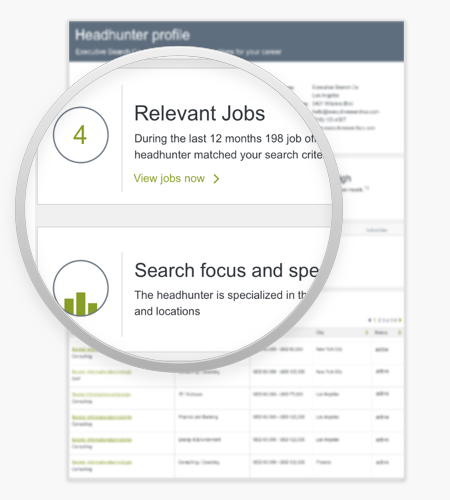 We analyze positions from more than 231,024 companies and headhunters and give you daily updates on compatible top positions. 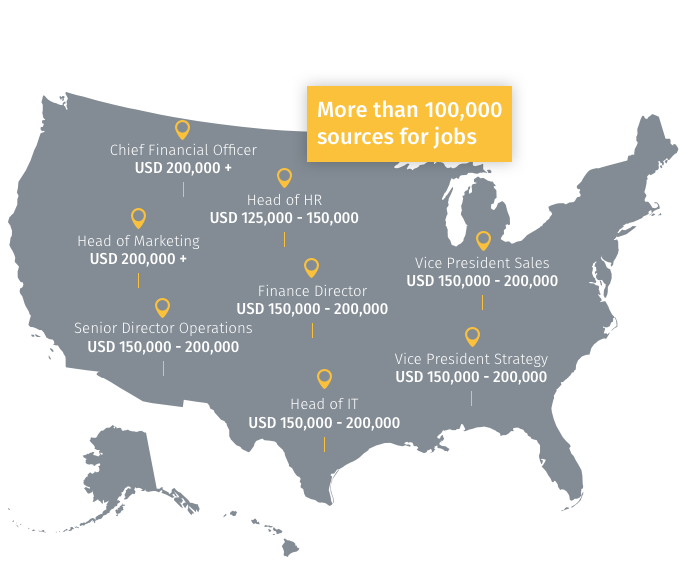 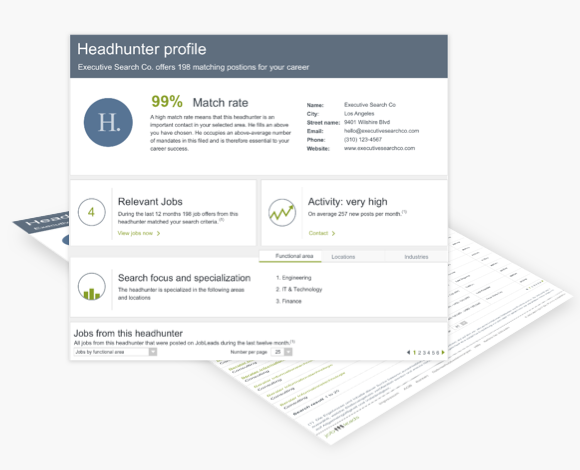 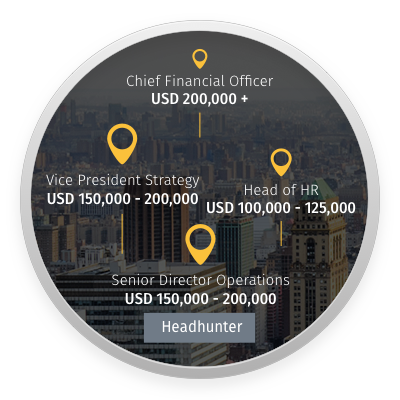 Take advantage of our network of more than 30,496 headhunters and recruiters. 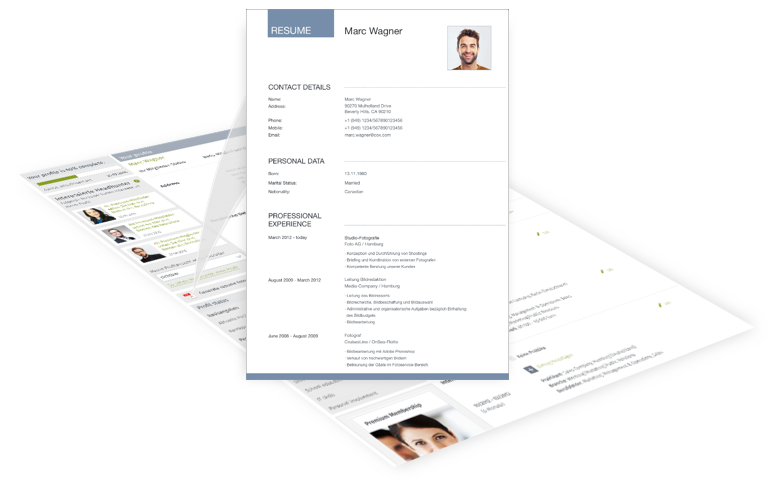 We’ll discreetly introduce you to the right contacts – based on your career aspirations.